On June 1, 2018, the Leadership Santa Maria Valley (LSMV) Class of 2018 held a topic day centered-around leadership. The class learned about the importance of different leadership skills from local Santa Maria Valley leaders and had the opportunity to apply their skills in mock-interviews. The LSMV class started its day at the Radisson hotel who graciously donated the meeting space. The class was welcomed with breakfast burritos donated by R.W. Scott Construction and Starbucks coffee donated by Cary Gray. The CPR presentation was followed by a Leadership panel that included Allan Hancock College Trustee, Larry Lahr, Plantel Nurseries President/CEO, Scott Nicholson, State Farm Agent, Donna Randolph, and AERA Energy Public Affairs Manager, Rick Rust. The panelists highlighted the following points: surround yourself with “good people” and build your network; trade-off vs. sacrifice; foster relationships; be honest, compassionate, and caring; leadership is about “igniting” other leaders. Dr. Anne Cremarosa continued the leadership topic day by touching on the importance of only asking others to do things that one would be willing to do and “walking the talk.” After a great morning the class had lunch sponsored by the Santa Maria Elks Lodge. After lunch, the LSMV Class of 2018 toured the Santa Maria Community Television station with Allen Sutterfield. Vicki Conner shared her many insights on successful leadership during the visit and the class also participated in a studio recording with the guidance of Dr. David Lohman, a local chiropractor and Toast Master’s International leadership expert. During the recording activity and subsequent feedback, class members learned effective verbal and non-verbal communication skills including the importance of smiling, listening, body language, projection, and confidence. The LSMV Class of 2018 had an amazing experience and thanks the Planning Team (Maria Castillo, Edgar Gascon, Petra Gomez, and Eva Macias) and Topic Advisors (Cary Gray and Paul Klock) for their planning and dedication to an exciting and informative day. Applications for the LSMV Class of 2019 are now being accepted. 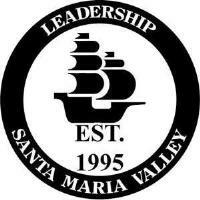 Interested parties are encouraged to apply for the program by downloading the application from the Santa Maria Valley Chamber of Commerce at https://santamaria.com/leadership-santa-maria-valley. For more information, please call 805.925.2403.